I was totally lost. The rain smashing my face, I tried pulling out my map, but my hands were so wet, the paper was dissolving before I could unfold it. The section of Ireland between Bweeng and Killarney is very sparsely populated and I hadn’t seen another person for a couple of days. The trail became difficult to follow due to the rain and the constant crisscrossing of forest service roads built by power companies to construct wind turbines on these mountains. Desperation set in, my gear was soaked and I didn’t want to climb under my tarp another night. In the distance I saw a van moving up one of the forest roads towards the turbines. It was my chance to get out of here for the day. “Hey! hold up!” I yelled sprinting as fast as I could toward him. I reached the van as a man apprehensively rolled down the window. Eventually he invited me into the van, and we finally rendezvoused with his foreman. After we used the dashboard heater to dry off the map a bit, we charted a course and I set off in the wrong direction. I arrived in the village of Rathmore at 11pm, soaked, tired, and grateful. The Irish Coast to Coast crosses the Ireland east to west beginning in Dublin and following several trails southwest toward scenic Valencia Island. The distance can vary, because there are many options in which to finish the route. Some choose to finish on the Dingle Peninsula and most popularly, others finish on Bray Head, in Kerry Co. The route I followed was roughly 400 miles (650 km) and took less than three weeks. 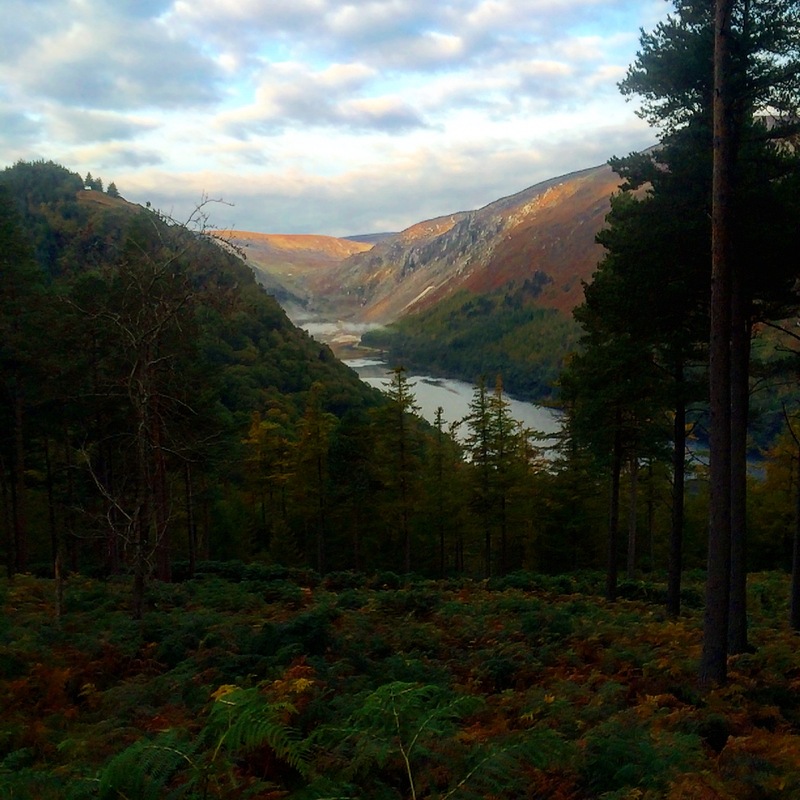 It begins on the most popular trail in Ireland, The Wicklow Way, in Dublin. This is where I saw the only other two backpackers the entire trip. 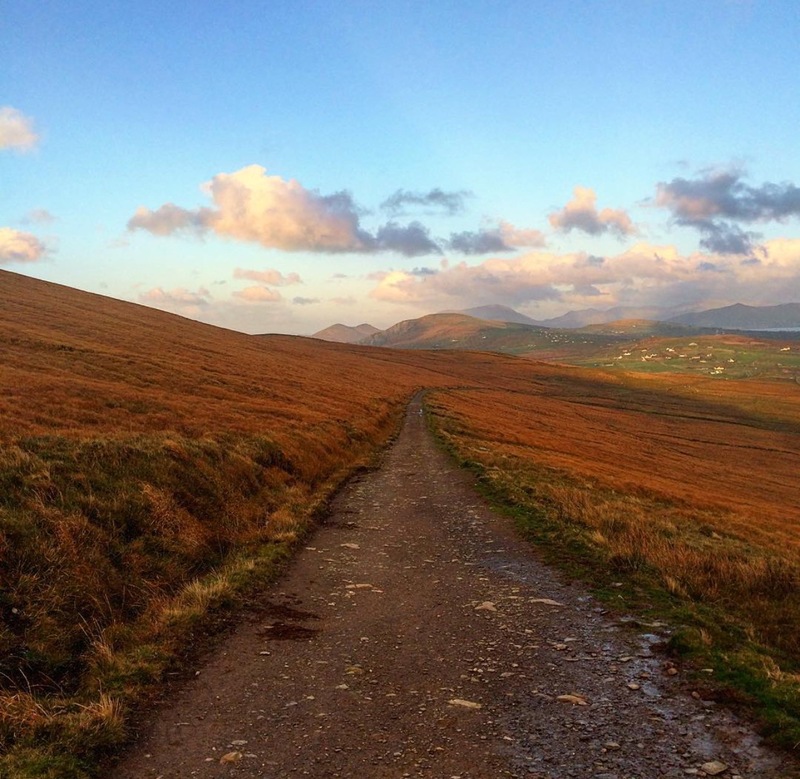 The Wicklow Way leads to the South Leinster Way, the East Munster Way, The Avondu Way, The Dulhallow Way, The Beara Way and finally The Kerry Way, which guides you to the west coast. Cicerone has produced a guidebook for The Irish Coast to Coast Walk, but I found it impractical to use and rarely referred to it. I used maps and Google most often. I arrived in Dublin, from Liverpool, after finishing walking across England. I decided to spend my first night in Dublin’s cultural quarter, the Temple Bar district, home to art studios, university students, tourists and world class pubs. Temple Bar is where literary giants like Joyce, Kipling and Kavanaugh, gathered to write and tell tales and music legends like U2, The Clancy Brothers and Thin Lizzy first gained fame. I enjoyed the sights for only a short time before getting to sleep early, in preparation for a long first day on trail. Instead, I was barely asleep for a half hour before I was awoken. I shot out of my bed, confused and aggravated by the loud banging. It continued for over an hour before I went down to the front desk to ask what that sound was. “That’s a guy banging the big bass drum,” the front desk clerk declared. The prospect of that was frightening. I marched into the pub across the way, and much to the chagrin of the football fanatics, cheered Poland on to victory before returning to my room to get much needed rest. (The bass drum guy was too depressed and went home). The following day I walked through the city to Marley Park where The Wicklow Way commences. Although it has few large buildings, Dublin is teeming with people and the bus system is affordable, easy to use and comprehensive. The people are as friendly as advertised, and when I arrived at Marley Park, a local man helped me find The Wicklow Way. He climbed a few miles out of his way, to the ridge line, overlooking Dublin, excitedly explaining the history and culture of Ireland to me. Apparently he had a few friends that lived in Boston. Everyone in Ireland has a few friends that live in Boston. This is what I expected in Ireland, and while that wasn’t completely inaccurate, I was pleasantly surprised the weather was so good late in the season. The temperatures are moderate, and hiking in October, I experienced daytime temperatures ranging from the high 40’s and high 60’s (Fahrenheit). Despite the ever present threat of rain, there was no precipitation for the first 8 days in Ireland. Although there was a two day downpour crossing the desolate midlands, the remainder of the trip I enjoyed fabulous weather. Daily rain lasted only an hour or so, sandwiched by beautiful blue skies and warm sun. The path is well graded and the mountains aren’t often over 1000 meters (3,000′). There are forested areas but for the most part, hikers are climbing over balds on wide paths or country dirt road. On The Kerry Way, I encountered a few sinkholes, and a couple minor water crossings. There are boggy, wet areas, but boards are sturdily in place in the most compromised areas. It’s certainly physically more difficult than the Camino de Santiago, but a lot easier than any of American triple crown trails. The vistas are breathtaking on The Wicklow Way, and even better on the jagged cliffs of The Kerry Way. Trails are well marked at times but it easy to get a bit lost on The South Leinster Way and certainly in the Crags approaching Killarney. There are plenty of places to camp all along the Irish Coast to Coast, and one Adirondack style shelter on the Wicklow Way. I camped in pub parking lots and in village greens with enthusiastic support from townspeople. A real treat of Ireland, though, is the bed and breakfasts. There is a comprehensive b&b rating system in Ireland, and it’s easy to get great accommodation and a full Irish breakfast for about $40 euro. Because it was October, I was often the only guest! 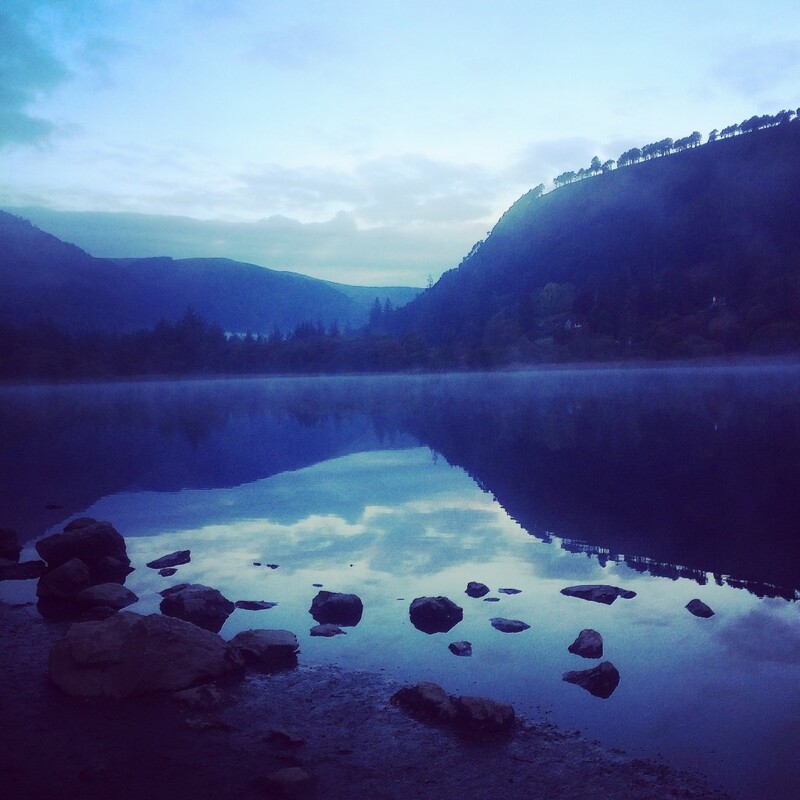 On The Wicklow Way and The Kerry Way, bed and breakfast options are available each day. In the middle trails there is a greater distance between villages but it’s conceivable to stay in one every night. There is a popular hostel with a tremendous view on the Wicklow Way, in Knockree. Couchsurfing and Airbnb are popular all along the route. When I mentioned that I was walking the Irish Coast to Coast, not one person had ever heard of it, yet they often went out of their way to help me get a ride into town, invite me into their homes, invite me to watch rugby and football matches with them. The people truly welcomed me into their community, and encouraged me to feel at home in their country. The highlight of the entire walk is The Kerry Way. Finished in 1989, it is home to Ireland’s tallest peak, Carauntoohil, which requires a small side trip for those who wish to climb it. 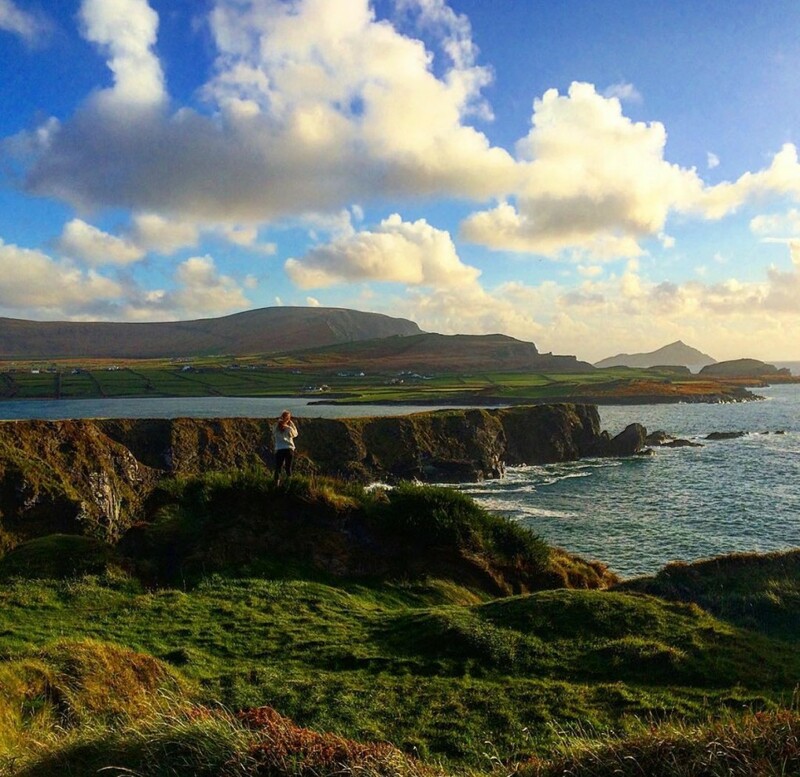 The circular route of the trail measures over 200 km in Ireland’s southwest corner and features the the finest mountain vistas and exceptional ocean landscapes. 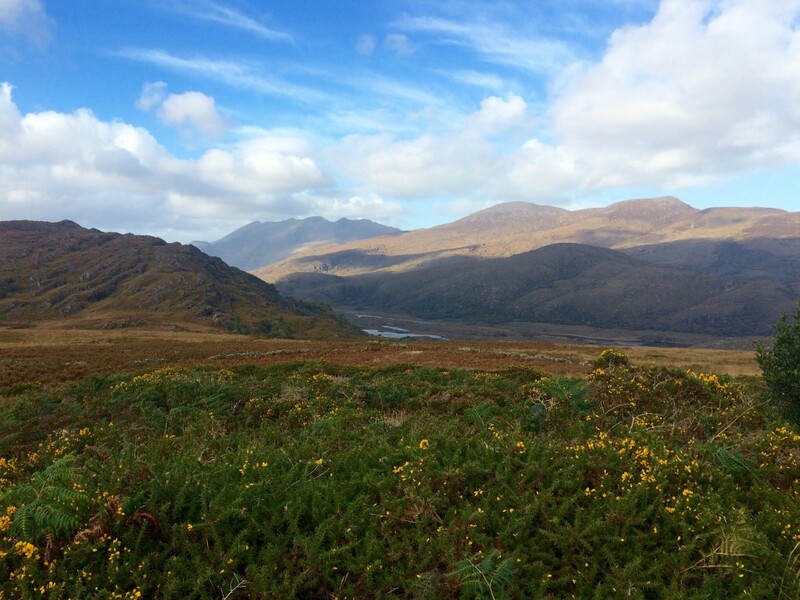 The Kerry Way passes through the beautiful Killarney National Park, where I saw plenty of day hikers, and a few deer. Villages on the route are spread out every 15 miles or so, allowing the backpacker to find comfortable accommodation and pubs serving good food, pints, football matches, song and stories. The towns are quaint and used to a lot of tourists and backpackers. 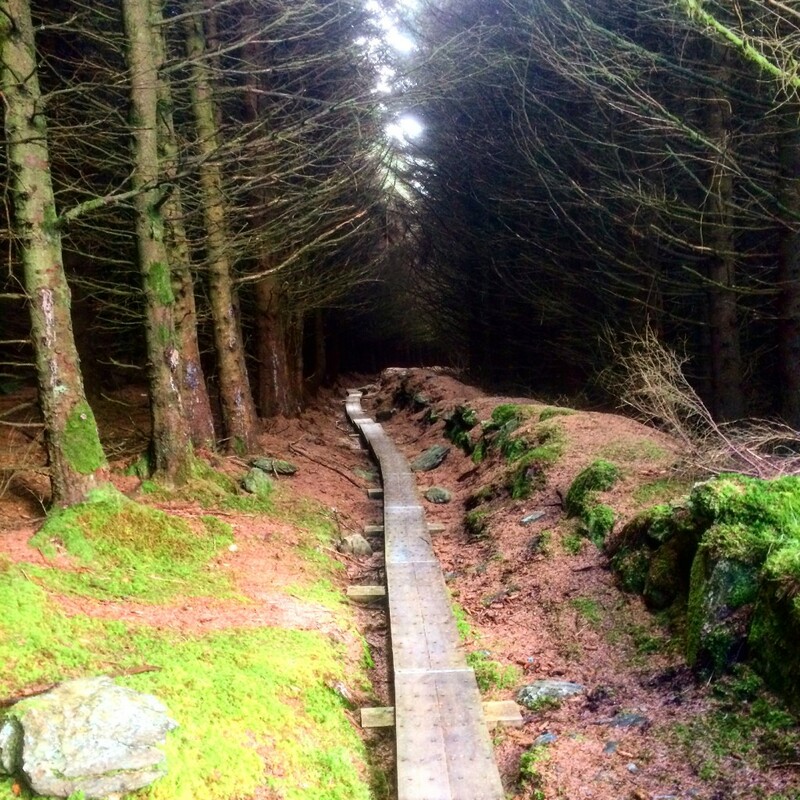 The trails that compose the Irish Coast to Coast Walk are relatively new. They were mostly conceived and developed in the 1980’s and there is great opportunity for the trails to become more remote to further enhance the wilderness experience. Like the Appalachian Trail in the time of Earl Schaefer and Emma Gatewood, The Irish Coast to Coast Walk didn’t appear to be well known among those who live around it, particularly in the middle region. At the conclusion of the Walk, I crossed the bridge onto Valencia Island. I climbed Bray Head at sunset, the clouds clearing for me to enjoy the colors of Europe’s final encore. I faced the stiff winds that attacked my face and threatened to throw me off the cliffs into the violent surf and rocks a few hundred feet below. I looked for few moments back towards Boston, Massachusetts and then walked towards the village of Port Magee. Pat got me a place to stay for the night and then shuttled me to the bus station in the morning. It was like I never left home. Sounds like a great job. It’s the whole eating thing that keeps me from doing it. Nice article, another bucket list item. Nice photos! I like your writing too, made me laugh. Nice article, I’ll add this to my to do list. I am seriously thinking of hiking full time myself. Just not 100% sure where I should start. Wow. Nice photos, great story! I am at this point desperately trying to find trail maps for the Irish Coast to Coast, I have not been able to get them anywhere. Please help! !